Hardback, 12.25 x 10.25 in. / 288 pgs / 272 color. 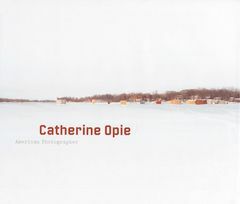 This comprehensive new exhibition catalogue, published to accompany the Solomon R. Guggenheim Museum's major mid-career survey of Catherine Opie's work, is the first to gather all of the artist's key projects to date in a single volume. Opie is best known for her subtle but potent portraits of people from the queer communities of Los Angeles and San Francisco. In this definitive volume, each of Opie's series--among them Portraits, Freeways, Domestic, Icehouses and In and Around Home--is reproduced in full color plates alongside works that were not displayed in the exhibition, allowing for the most complete overview of this important Los Angeles artist's work to date. In addition, this volume features a lead essay by exhibition curator Jennifer Blessing, which surveys Opie's artistic career and its historical contexts; a series of interviews with the artist by Russell Ferguson, Chair of the Department of Art at UCLA; and a brief personal reflection by internationally renowned novelist Dorothy Allison, whose work explores many concerns similar to Opie's. It also includes introductory essays on each of the artist's series by Nat Trotman, Assistant Curator at the Guggenheim, as well as a newly researched, exhaustive exhibition history and bibliography, making it the primary source for future research on Opie's work. 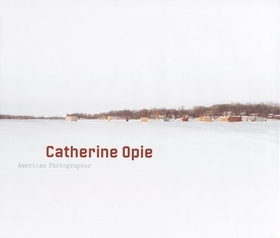 Catherine Opie was born in Ohio in 1961 and is currently Professor of Photography at UCLA. Opie's work has been exhibited extensively throughout the United States, Europe and Japan. She has had solo exhibitions of her work at the Walker Art Center, Minneapolis; St. Louis Art Museum; Museum of Contemporary Art, Chicago; and the Museum of Contemporary Art, Los Angeles, among many others. FORMAT: Hardback, 12.25 x 10.25 in. / 288 pgs / 272 color.